With the festive season upon us, I am sure we are all busy making goodies and our homes redolent with the aromas of sweets and savouries. I am also sure that we are juggling demands for making favourites of our familie while trying to decide which delicious new recipes to try this year:) Well, our work just got easier!! Here is a lovely gift from the IndusLadies and your fellow food bloggers that will make life literally sweeter. 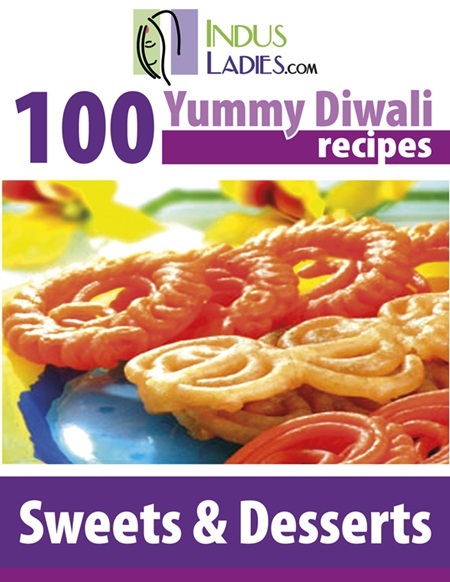 IndusLadies has compiled an eBook for this Diwali consisting of 100 Yummy Sweets & Desserts Recipes! 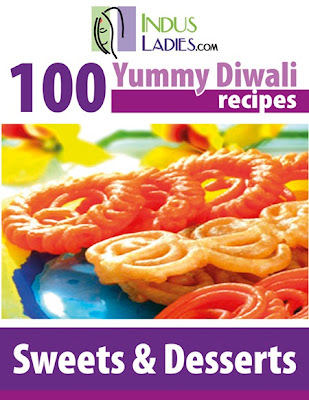 You are invited to download it @ Diwali Sweets. Thanks to IL for this wonderful effort to to all my blogging friends for sharing their favourites with us. My recipe Shahi Tukre | Double ka Meetha aur Kesariya Rabri | Crispy Bread Pudding in a Pistachio Saffron Sauce is on page 35! !